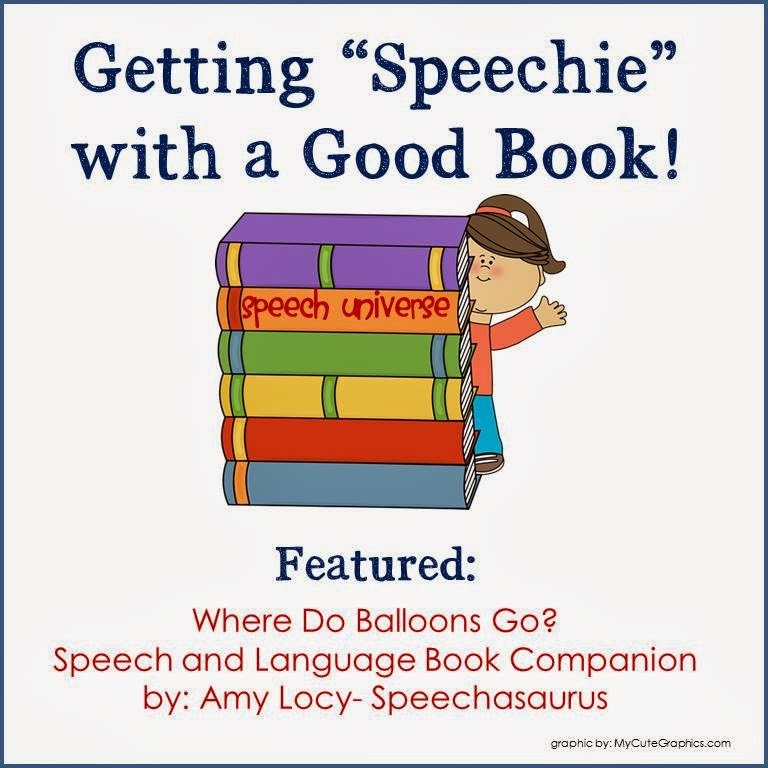 Getting "Speechie" with a Good Book: Where Do Balloons Go? Sorry, I have been out of commission for about a week now. Rather, my computer was out of commission! It got some kind of virus, so was at the computer doctor getting all tuned up. Now, I am ready to go! 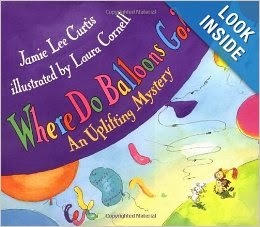 Last week, I had the pleasure of using a book companion from Speechasaurus for the book Where Do Balloons Go? by Jamie Lee Curtis. This book companion includes some great activities that targeted goals that I was working on with some of my kindergarten students, so this companion was exactly what I needed last week! this is a cute little board game that can be used with a variety of activities, and not necessarily only with activities in this book companion. There are both regular and irregular verb cards included in this packet. They are coded by balloon color, which makes organization easier. These cards are color coded by the balloon color for the questions: what, when, where, why, who, how, yes/no. This is one worksheet that targets the vocabulary "as many". There are two pages of cards. One page has cards with balloons in sets that are all the same, and one page has balloons in sets that are different. There is also a compare/contrast activity that can go along with these cards. There are four pages of balloon cards for these activities in all. FLOAT is a bingo-type game that can be used as a fun activity with this book. It would be great for describing skills. I have to admit, this was my favorite part of this book companion. I have two kindergarten students who need so much help with pronouns! This activity was great, as you can target he/she/they as well as his/hers/theirs. The last activity that I did with my students after the book was a fun app called Balloon Maker! It is $0.99 on the app store. This app is so much fun! Basically all you do is inflate and pop balloons. I had my students give me a complete sentence such as "I made a big green balloon." I can't even tell you how much they begged for this app the next time they came in. What a highly motivating, simple app! I had a great time using this really cute book and book companion! You can get the book companion HERE. You can find Amy from Speechasaurus on Facebook or her blog. Go over there and say "hi!" I love your "app" dition! One of my favorite Apps is balloonimals and I never even thought to pair it with this book-DUH! THANK YOU!